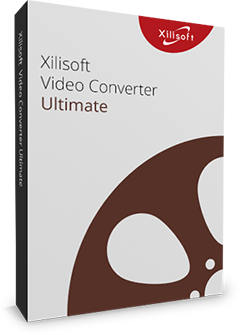 Xilisoft MP4 Converter for Mac, integrated video to MP4 converter software, can easily convert nearly all popular video formats including AVI, MPEG, VOB, 3GP, MOV, MP4, M4V, etc. to MP4 format for iPad, iPhone, iPod, Apple TV, PS3 and AVI format for Archos, Creative Zen and iRiver PMP. And also, it can extract MP3, AAC and M4A audios from kinds of videos. Download the Mac MP4 converter for free trial and enjoy your beloved video on the go! Convert videos to play on iPhone, iPod, Apple TV, PSP, PS3, Archos, etc. The Mac MP4 converter can convert all popular video formats like AVI, MPEG, VOB, etc. to MP4 and AVI videos to play on PSP, PS3, iPod, iPhone, Apple TV, Archos, iRiver PMP, Creative Zen. Provide optimized preset output formats for iPod, iPod touch, iPhone, Apple TV, PSP, PS3, etc. with different quality which can be used directly without any further settings. If you are not satisfied with the default settings, the Mac MP4 converter enables you to change the general and advanced settings to perfect the conversion like adjusting video/audio quality, bit rate, etc. The MP4 converter Mac software allows you to preview the source video before conversion and take a snapshot you like when preview. View log after conversion doneThe Mac MP4 converter creates a log file to record the conversion details for your check when you convert AVI to MP4, MPEG to MP4, MP4 to MP3, etc. Xilisoft MP4 Converter for Mac provides multiple language interfaces for different mother-tongue users: English, German, Spanish, French, Japanese and Chinese.